Recently, we have the opportunity to visit a serviced office called level.8 at M Hotel. M Hotel is located along 81 Anson Road in Tanjong Pagar, Singapore. Not many people know that there are actually offices for rent in a Hotel. level.8 has approx. 35 fully furnished office suites of various sizes ranging from 2 to 10 workstations per suite. Each space can be designed to suit your needs with flexible tenancy periods up to 1 year lease term. level.8 offices are accessible 24 hours a day, 7 days a week with round-the-clock air-conditioning and security services. Estimated cost to rent a serviced office here is approx. S$1,000 per workstation per month. Special promotional rates available sometimes. Please enquire here or email to info@officerent.sg now with your office space requirements. 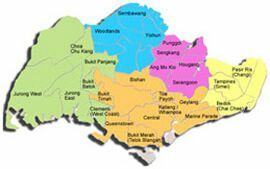 M Hotel is a short 5 mins walk away from Tanjong Pagar MRT station. There are ample choices of retail and F&B amenities in the nearby vicinity. Some photos of M Hotel. Along the ground floor towards the main entrance of M Hotel. Entering into the main hotel lobby. What does the M Bull in M Hotel signifies? The M Bull, a symbol of growth in the financial market and an embodiment of strength and power, aptly resides at M Hotel, in the heart of Singapore's Financial District. The bull and bear are financial terms, derived from the method in which they strategically approach their opponents. The M Bull thrusts its horns into the air, an action relating to the movement of the market and reflecting a long term upward trend - a bull market. The M Bull, housed at The M Hotel - winner of Best Deluxe Hotel 2009 by Hospitality Asia, signifies positive equity and business trends. We hope to enhance your experience and provide an inspirational business environment by bringing you top financial news and updates LIVE throughout the day. Please see the photo below for its Chinese description. In front of the lifts to the Level 8 offices is Cafe 2000, serving both Western and Asian cuisines. Other than Cafe 2000, other dining options include The Buffet, Hokkaido Sushi Restaurant and J Bar. Let us now proceed to level.8 serviced offices. The main office reception area. This definitely creates a great first impression for your visitors. Internal (non-window) and External (Window) serviced office suites. Various sizes available. Please note that availability of offices are subject to change. 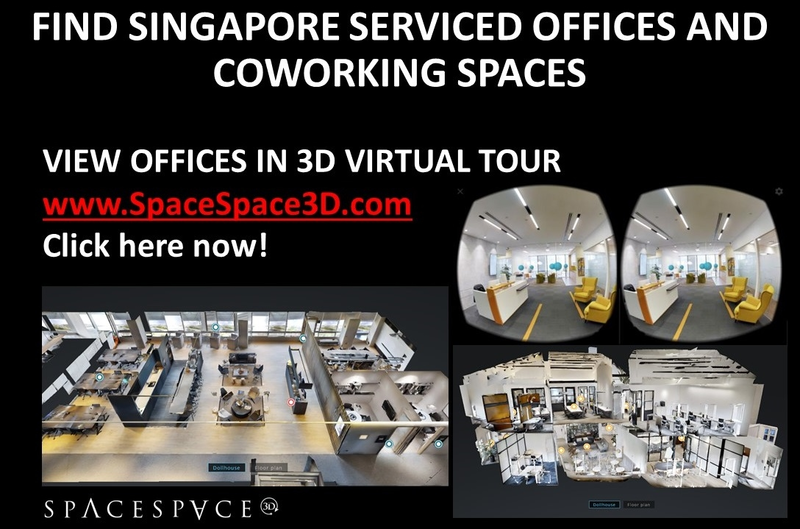 Please enquire here or email to info@officerent.sg now with your office space requirements. Views from one of the serviced office suites. Yes, coffee breaks are needed to keep the day going. Interested to rent a fully furnished serviced office in Singapore? Nothing beats visiting the premises in person. Please contact us now or email to info@officerent.sg with your office space requirements.